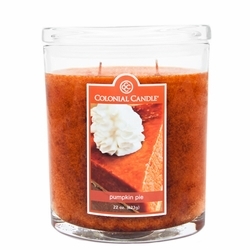 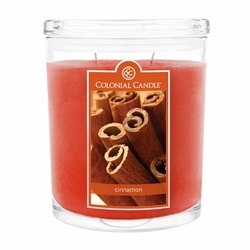 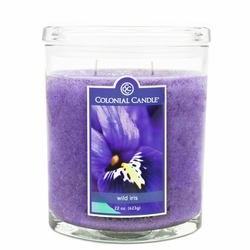 Home > Candles & Diffusers > Candles > Colonial Candles > Colonial Candle Oval Jars - 22 oz. 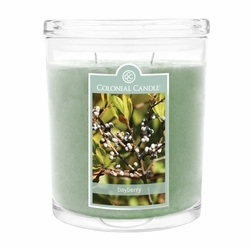 Exclusively sold by Colonial Candle, the unique and elegant oval jar is a beautiful and fragrant accessory for your home. 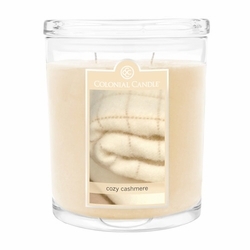 Crafted from premium wax and all-cotton wicks, the 22 oz. 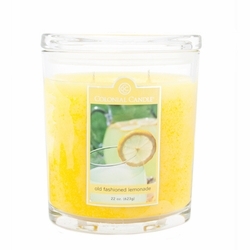 oval jar burns for up to 110 hours. 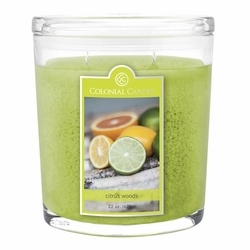 Luminous citrus notes are highlighted by a bouquet of sun-kissed florals and warm cedarwood. 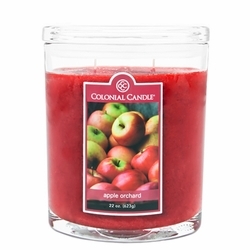 Enjoy the classic scent of sweet, crisp apples in the fresh outdoors. 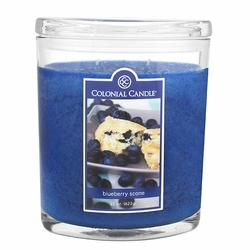 Perfect for a spring picnic, tart blueberries mixed with warm butter cake, vanilla and almond. 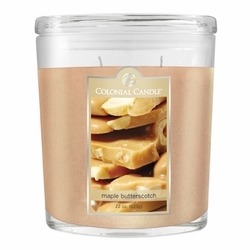 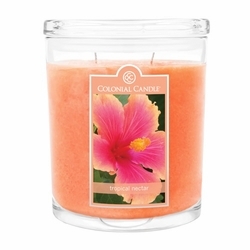 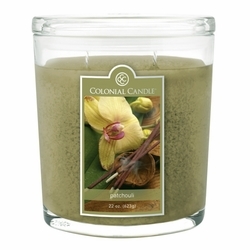 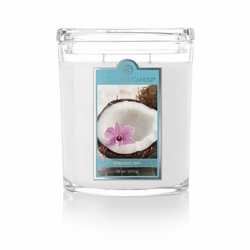 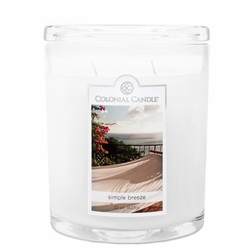 Wrap yourself in the warm scent of fresh florals, sensual musk, and soothing vanilla. 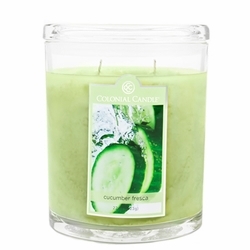 Relax with this garden-inspired medley of cool, crisp cucumber and fresh cilantro leaves. 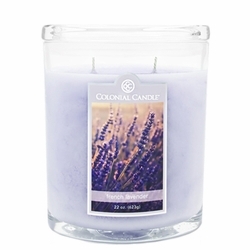 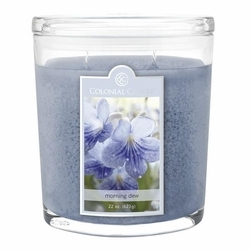 Whisk away with this soft and soothing lavender fragrance. 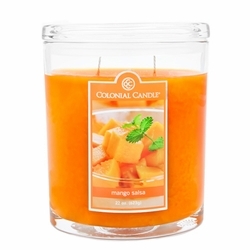 Savor the wedges of succulent mango fruit, sugared guava, and sun blushed papaya. 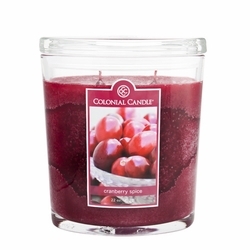 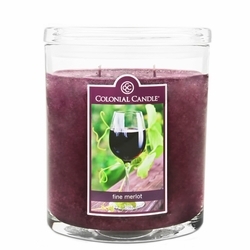 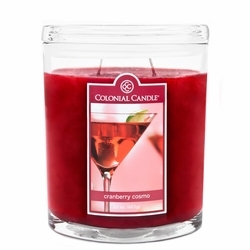 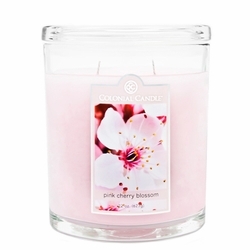 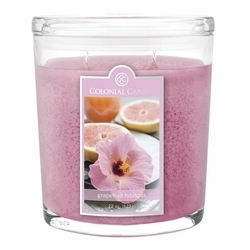 Fresh raspberry and crisp apple mix with soft florals on a rich cherry wood background. 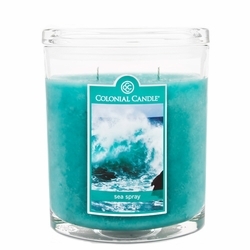 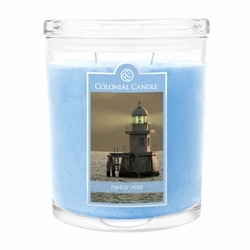 Splash around in a crisp marine blend of sea grass, salty sea foam, and amber sand. 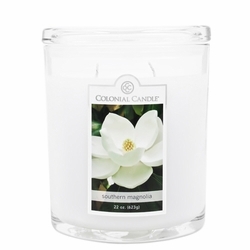 A sweet, southern magnolia bloom with a hint of jasmine and sparkling freshness. 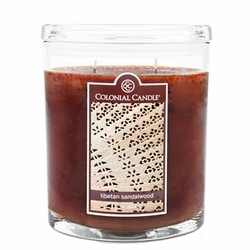 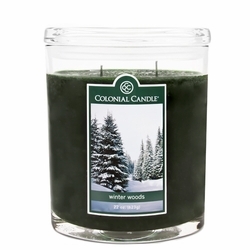 Surround yourself with radiant amber, rich woods, and sensual sandalwood.